Rex Tillerson has a symmetry problem. 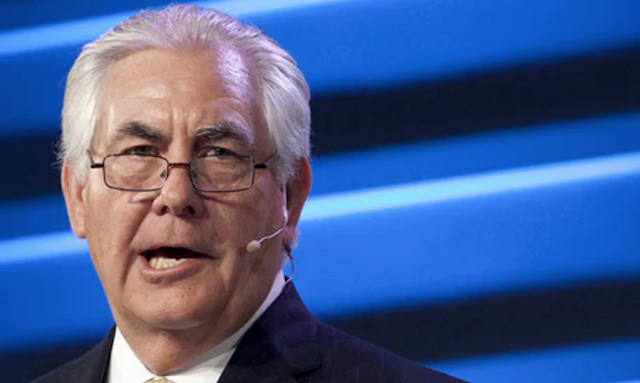 The nominee for the US Secretary of State and former Exxon CEO speaks out of the right side of his mouth. 1. Injury, Stroke, Muscle Palsy, etc. : Certainly there are numerous medical causes of an asymmetrical mouth while speaking. 2. Tic-like behavior/Long-term habit: We all know people who, although they have no medical causes, have spoken out of one side of their mouths' their whole lives. 3. Insincerity & Deception: A person may be overall an insincere individual, although not necessarily lying in a specific moment. Another person may be a pretty honest, yet they may currently be telling a lie. In either case, one signal of their sincerity could be an asymmetrical manner of speech (although it's certainly not always seen in the midst of deception). 4. Swagger/Bravado: Speaking out of one side of the mouth is one way a person may project Swagger and Bravado. This Braggadocio overlaps behaviorally with the emotional tone of insincerity. 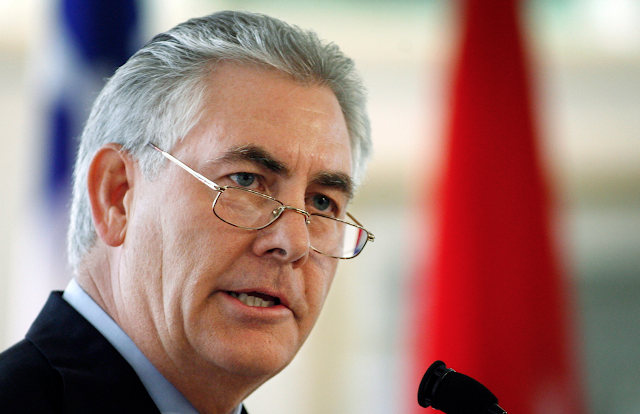 Rex Tillerson appears to have spoken out of the right side of his mouth for years. Thus he most likely fits into one of the first two categories - and probably more specifically that of a Tic-like habit. It's of crucial importance to note, those who speak out of one side of their mouth are overall judged by others to be less trustworthy. This tendency is also a cross-cultural phenomenon.